It’s time to look art the two part Itachi adventure spread across these two novels. At this point you are likely familiar with Itachi’s story as it was explained around 10 times in the anime and is constantly brought up. 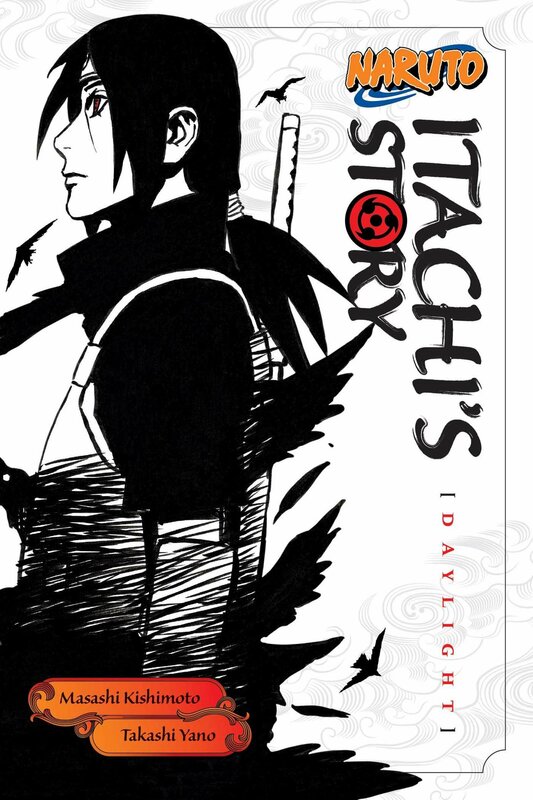 These novels add more details to the period before Itachi actually ended up murdering his clan. This way you can better understand his rationale and what caused him to tip over the edge. How much you enjoy the novels will likely depend on if you can buy into any kind of justification for murdering a whole clan and as there is none it can get tricky. Prequels like this tend to suffer from one tricky element that is hard to get around. The ending is written in stone and can’t be changed so no matter how heroic the character tries to be, it is ultimately futile. I remember another prequel being like this, but I can’t recall which one. Well, the novel starts with Itachi growing up. At first he is a kid who is forced to learn about the outside world and the brutal realities of the Ninja War. Eventually he grows to accept it, but decides that when he is strong he will be able to change the world. He’ll become Hokage and end all of this. In the mean time he has to be careful because the Uchiha clan want him to be a spy on the Hidden Leaf Village while the Anbu want him to spy on the Uchiha. He obtains a high ranking position among both groups. Both groups intend on murdering the other so Itachi is unsure what he can do. No matter what he will end up betraying somebody. I’m quickly going to jump into the ending here because it’s really the main problem with this duology. Throughout both books Itachi is painted as being a very nice guy. He’s apparently quite the pacifist who even acts timid for quite a while. The only scenes where he becomes a lot harder and more out of control are the ones from the manga which have to be re-adapted. As such, the ending really comes out of nowhere. It never feels like the narrative was building up to Itachi murdering everyone until it happens. The justification for it is still as weak as it ever was. Danzo and his group are effectively blackmailing Itachi at the end, but why should he obey them? Danzo ordered the execution of Itachi’s best friend and has been doing everything he can to ensure that the Uchiha clan would be destroyed. He eliminated the only option for peace by getting rid of Shinsui. Itachi even half heartedly tried to avenge his friend. Why go from there to suddenly agreeing with Danzo and murdering his family? The only reason for this is that it had to be that way. That’s how the story is supposed to end. It’s still the biggest problem with prequels like this. The story tries to have him save face by placing his friend in a genjutsu as he destroys her so she doesn’t feel like it, but that’s not even a silver lining. To ease his own conscience Itachi lets Madara destroy the women and children, but that is still as guilty as doing it yourself. The ultimate rationale for this is that if Itachi didn’t wipe out the Uchiha then both sides would have had many casualties. While that seemed very likely if not inevitable, it’s still not a choice that he should have made. I also wouldn’t trust Sasuke’s safety with the village after this. Sure, he had their word, but what’s to stop Danzo from setting up another “accident?” Itachi could try to out him with his info, but that wouldn’t do much at that point. Clearly the best thing to do would have been to just make the situation known to everyone. A civil war would likely occur but at least some people would live rather than none. Of course the other villages may attack as well, but with this many ifs it isn’t as if there is an option that is risk free. So the second volume definitely finishes the series off on a low note, but overall the duology is fairly well written. Itachi’s story makes for a pretty good parallel to Kakashi’s. Both of them are prodigies who quickly joined the Anbu and started to turn the tides of the war. The leaf village was really lucky to get so many highly skilled ninja at their disposal. I think the series is at its best when Itachi is on missions with the Anbu. I think focusing on that part is certainly best, but as I mentioned the rest of it is very interesting too. Just cut out the ending and then this story would be complete. Danzo and his group are just very annoying. They get away with everything including literal murder. The Hokage is heavily implied to know what is going on, but simply doesn’t care enough to help. That’s why I never liked the Third Hokage and I was rooting for Sasuke to take down the village. The place is just so corrupt and everyone always seems to get away scott free. Even not arresting Orochimaru in the Boruto series is highly suspect at best. The guy is responsible for countless crimes, why are they being swept under the rug? These novels show just how shady the village is and why it’s hard to like any of those guys. Naruto gets a cameo which was cool. Apparently Itachi was also able to be nice to him back in the day. Before he ended up snapping Itachi is shown to be one of the nicest guys around. He’s a genius while staying humble. If you don’t like it when a character gets too much hype then this could annoy you, but I’m fine with it. Some characters just are that perfect, it’s fine. It also does make for a very intimidating villain since it’s not as if Itachi lost those skills when he turned over to the other side. Given how Itachi’s mission was to look out for the Leaf though, I do think that hanging out with the Akatsuki was super risky at times though. It’s good to be close to the villains of course, but I feel like after a while Itachi’s goal shifted from protecting Sasuke and the village to purely be focused on Sasuke. Not a bad thing of course and the village doesn’t deserve his protection anyway, but time probably clouded his thinking. Overall, The Itachi novels definitely add a lot of details to his sob story. Even though we’ve been through this many times in the show already, it definitely does add some insight that you couldn’t already know. How much that matters will depend on the person. I have to shave some points off for the terrible ending, but beyond that the books are solid and I’d recommend checking them out. Itachi may be gone in the present day stories, but his sacrifice did ultimately help Sasuke become one of the greatest Ninja out there. The village also seems to be in a better spot than it used to be so at least things won’t always be corrupt there. Naruto needs to keep everyone on a short leash and he has the power to do so. We better not get another Danzo type situation. With this one done I’ll start on the Sasuke novel soon. I expect that one will triumph. After all, Sasuke’s the main character! It’s time for a retro Pokémon adventure. This one definitely adapts some intriguing adventures that make you wonder just how strong the Pokémon really are. Despite the power level moments being puzzling this is still one of the better books since there is a lot of action. As usual there are two stories to be found here so I’ll talk about both of them. The first story has our heroes walking through the forest when they encounter an injured Scyther. It apparently lost a battle for clan leadership since he is old now and has been cast away. The rules for the clan are that you have to leave if you lose. 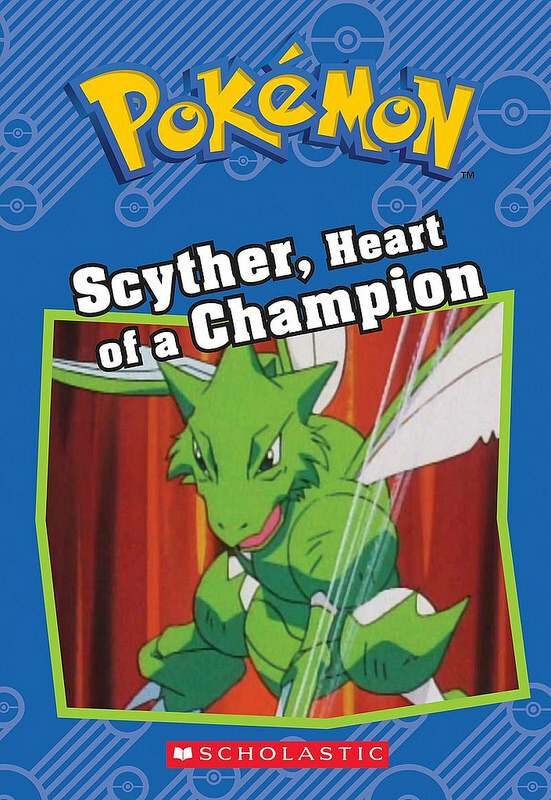 It’s pretty sad for Scyther but when you remember that he has done the same to many others (Since it’s referenced that he has won many times and only lost this one due to age) then the sympathy goes down a little bit. Still, he wants one more chance to fight for leadership so in the meantime Tracey captures him. Scyther isn’t pleased to say the least but then Team Rocket shows up so they will have to grudgingly team up. Scyther has always had a cool design but I don’t like what they did with him in the show. I don’t think Pokémon should ever become senior citizens, especially since that whole concept seems to vanish later on. Just as importantly, they could have made him old without making him ancient. That would have made him much better if you ask me. As it stands, he is old but still gets a lot of hype and is treated as a very strong Pokémon. He was saved by the guy who overthrew him though and so I can’t buy into him being an actual rival for Charizard. I suppose none of this is Scyther’s fault though and I can’t be mad at him for still being feisty and ready for combat. It’s not a bad story and in fact it’s a pretty important one since Tracey finally gets a new Pokémon to fight at his side. It’s pretty straightforward though as Team Rocket is the only threat here and you could argue that they have never been a threat before so why start now? The fact that the book implies they were about to win is pretty funny if you ask me. I do like that Ash was the first to think of the idea of capturing Scyther in order to take him to the Pokémon Center. This is the main character that I grew up with. A kid who was always jumping into action as opposed to being confused. The big story of the volume has Ash and friends enjoying a good time when a trainer shows up to challenge him. The guy thinks Ash looks tough so he will make for a worthy opponent. Ash agrees and goes up against this guy but his Pikachu gets downed in a single hit and Charizard does no better. In fact, Charizard loses so badly that his life is in danger now so Ash might have to rethink using his Pokémon in such dangerous fights from now on…or quickly go for the rematch. The elephant in the room here is that a Pokémon should certainly not get near fatally wounded from a single attack. Not to mention that it was an ice attack against a fire type. Many solutions will pop into your head like why doesn’t Ash put Charizard in a Pokeball and run to the Pokémon Center or whip out a Hyper Potion. I feel like the Pokeball trick didn’t work in the anime and the book may have mentioned that but this is just as strange. Why wouldn’t it work? If objects like ice can block a Pokeball’s power then that really is a pretty big problem. If Pokémon fights really are this dangerous then it does give N and his followers a leg to stand on when they say that Pokémon fights are barbaric and must be stopped. Their lives are clearly being put at risk in every fight if this episode is to be believed. Either way I always thought their ideology was pretty interesting but let’s stay on topic. The only lesson Ash learns from this is to go right back and fight the guy again. Sure, they dodge this time but what if the attack had actually landed? Then they would have been in the same position only Charizard would be a lot weaker this time around. Ash should have either turned down the fight or brought out Pikachu again. As an Ash fan part of me is glad he didn’t turn down the fight but the stakes sure increased here. I thought in the anime he only reason the Poliwrath was so strong was because he had on some kind of equipment that boosted his attack but maybe I was misremembering since here he book treats the belt like a normal one that isn’t actually affecting the fight. Finally I also have to question how Pikachu was so thoroughly humiliated in this fight. Sure, the Thunderbolt didn’t work and that was the first cause for concern. Even ignoring the type advantage, Pikachu should be at a crazy high level by now. Then Pikachu should still be quick enough to dodge the counter blow and durable enough to endure it. Pikachu was incredibly lowballed in this episode for the plot’s and as a loyal fan that was a little disappointing. Controversial Opinion time, I think Pikachu could take down Charizard in a fair fight. Still, ignoring this, it was cool to have a new trainer who could fight at such a high level. It’s too bad he never appeared again since the guy was definitely skilled. Having him show up in the next Pokémon League Championships would have been a really cool way to go about it. Overall, this is definitely a pretty good Pokemon book. Both stories are fun and hold up well in their own right, but the second story is definitely the best one. Most of the story is about the big fights and we finally have a Poliwrath who is looking good. That Pokémon has a great design so I am certainly glad to see him getting the hype he deserves. This part of the Pokémon anime is still nostalgic from the good ole days and I look forward to the day when the anime gets back on track from this Sun and Moon saga. It’s stayed it’s course and we need more serious fights like the one this volume has. The suspense and drama have vanished in the newer episodes. It’s time to look at the next installment in the Pokémon Sun and Moon season. The first one was a reasonable start to the quasi reboot and this one is actually an improvement as we get our first serious island challenge which is basically just a gym battle. It’s not exactly Kanto just yet but it still makes for a decent volume nonetheless. Hopefully the series can keep up the momentum. Ash wants to obtain a new Z crystal since his last one broke when he fought the island guardian. The local professor tells him how he can get another one and the answer is that he must beat the human guardian. 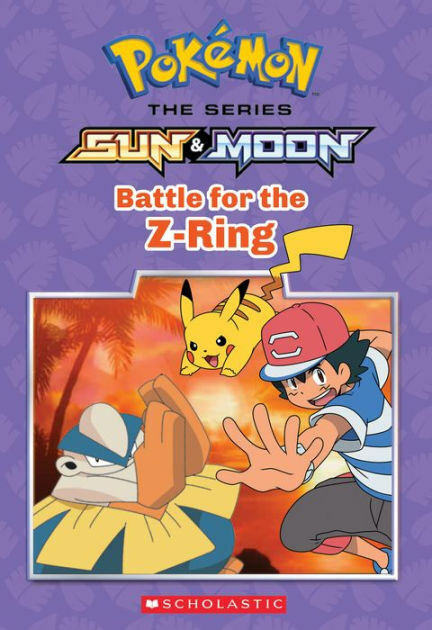 Ash goes over there to fight but the guardian tells him that he has to solve the island’s rat problem first. A bunch of Pokémon are blocking the way and making a nuisance of themselves so Ash has to go to a cave and defeat some powerful Pokémon so he can team up with them and save the day. Can Ash win all of his matches in this volume? The local head tries to tell Ash that battling isn’t always the answer and that’s the point of the trial. However, combat was the answer to winning and saving the island so I found that whole part ironic. Perhaps it was intentional but it’s hard to say. What makes this volume better than the last one is definitely all of the battles. Ash has to face off against at least 3 different opponents and he does a good job against all of them. Ash actually uses some strategy and while he seems to be a newbie at life (Forgetting basic Pokémon) at least he is quickly becoming a better trainer. Seeing him defeat the leader and use Pikachu’s new attack was definitely great. The series seems to be hinting that Ash will get a new attack for each type which will be pretty interesting. He will probably pick the thunder move but I personally found this one to be a lot more impressive. It’s essentially quick attack but even faster which will be great for overwhelming opponents. Maybe Ash will choose this one though, that’d be cool. It was also nostalgic seeing Hariyama again since that Pokémon is pretty cool. I love the design and he always struck me as one of the stringer fighting types. I think I’ll always have a lot of nostalgia for the first 3 generations. Ash is surprisingly on his own for most of the volume as the friends just don’t get much screen time. They appear for a brief instant to remind Ash that he’s being petty about the cat stealing his food and also give him an idea about saving the island. I suppose their role was important after all even if it was so small. 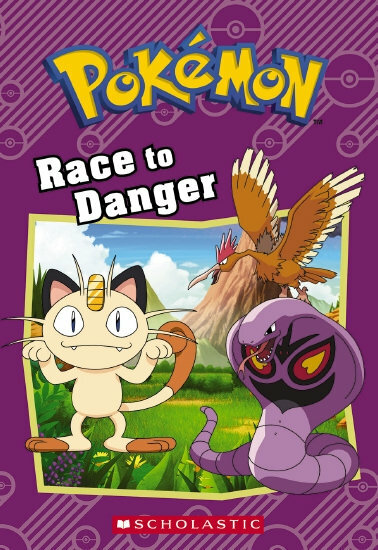 Aside from the big battle plot, the first few chapters were about Ash and Litikitty. That was definitely the weaker part of the volume. It wasn’t bad or anything but it definitely wasn’t as exciting as the action part. Pikachu looks really good which is always a plus in my book. I’ve said this a million times over the years but at this point he should easily be level 100 so I don’t want to see him losing against anyone. Pikachu should be able to claim victory no matter the opponent. That’s just how it should be. Ash will need more Pokémon though as Rowlett just isn’t an amazing backup. He’s not really much of a fighter and constantly falling asleep isn’t doing him any favors either. Once Ash has a team of 6 then he will really be set. 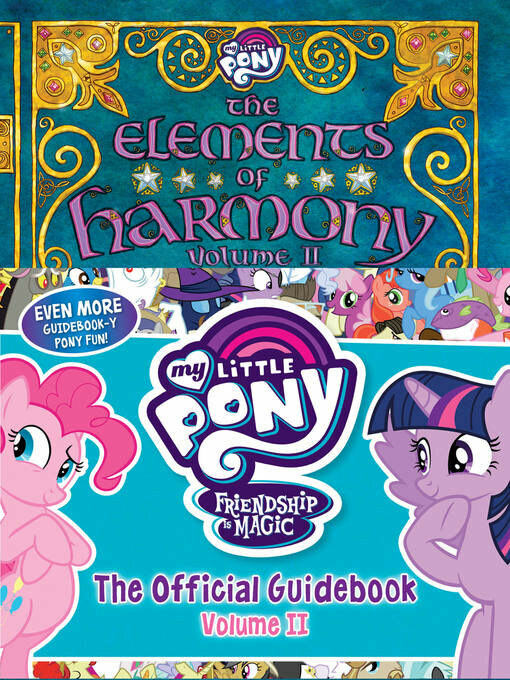 Overall, I’d say that the books are doing a good job of adapting the episodes. The book is quite small so the author does a good job of not overdoing it with the details so we can still cover a lot of ground. These little books are always a good format for such adaptions and while you know that it’s definitely not going to make it all the way, hopefully we get a lot of volumes before it finishes. That’s the dream at any rate. I wonder when the next big Totem Battle (I think that’s the correct term) will be. I stopped following the anime early on so I can’t say that I know much of the specifics aside from big moments like Brock and Misty showing up. As long as we get battles like this every volume, the series should continue to go smoothly. The Haunting on Hill House is definitely a unique adventure. The characters are all rather calm about the situation but in a rather odd way. Every character seems to be crazy already which is probably why they were invited to begin with. Hill House definitely doesn’t pull any punches once night occurs. The plot starts off with Montague deciding to head off to Hill House to run some experiments. He decides to invite a few people with supernatural experience since he could use some backup and perhaps they will sense something he could not. These characters are Eleanor and Theodora. Luke also comes since he owns the house while Montague is merely renting it. Is the house haunted or is it merely in the minds of the characters? That’s left for you to decide as things get a little crazy but one thing’s for sure, things will never be the same for these chaps once they leave. So like I mentioned earlier, the dialogue is all very off. Likely an intentional decision so it’s not bad writing but it does make you wonder about the characters and how far from reality they are. For example, the maid has a tendency of repeating herself and telling the same things to everyone no matter who they are. She may have been the best character to be honest. As she said, supper is served on the dot and she leaves before dark. She has her iron clad rules and doesn’t deviate from them no matter what. You have to admire her dedication and the rest of the characters quickly learned how the system worked that way. Her husband wasn’t quite as fun and only showed up once so he definitely wasn’t meant to be a big character. His threats worked pretty well on the main character but no one else was going to be messed with. That’s one thing I liked about Montague. Since he rented the house, he always talks about how the others need to know their place. That being said, he is all talk and never actually does anything about it. He does his best to keep the group together and might be the best character in the book. Luke is fairly good as well. He doesn’t believe in ghosts as much as the rest of them and never even gets scared by what is happening in the house. He takes it all in stride and seems to genuinely enjoy the experience. At least someone was having fun right? Eleanor is the main character by unfortunately she is the worst one. She suffers from low confidence the whole time and doubts every move that she’s makes. Eleanor also basically goes crazy early on but you could make the case that she was already like that when the book began. It would explain her point of view for the book and everyone’s reactions to some of her antics. I imagine she didn’t act quite the same as she claims too. She really put up resistance to leaving the gang by the end and then her sudden finish seals the deal. She was amusing at least though. Definitely a creepy person to be around if you were actually in the house though. Theodora was definitely the most intense character. She is very outgoing unlike the others and can be very morbid which is an interesting combination. She gets along with everyone even if she finds Eleanor to be too clingy. Towards the end the two do start to subtly insult each other a lot but I’m probably on Theodora’s side here since Eleanor was trying to invite herself over which is never the polite thing to do. Just because you meet a friend on a job doesn’t necessarily mean you suddenly want to have them around all the time. Eleanor did her best to get everyone against her. I can’t speak for any possible adaptions but in the book at least I think it’s safe to say that the house was not haunted. Most of the tricks could be explained with science like how the building was slanted and that’s why the doors would close. Everything adds up this way. Any possible noises during the night were probably just Eleanor panicking and trying to scare everyone. Honestly if I had been invited to the house, I probably would have had a blast. The main characters did very little investigating if you think about it and spent most of the time just having picnics and playing chess. Essentially it was like a vacation with free food. In a time without electronics that definitely seems like a fun experience since the things in town may have gotten old by that point. 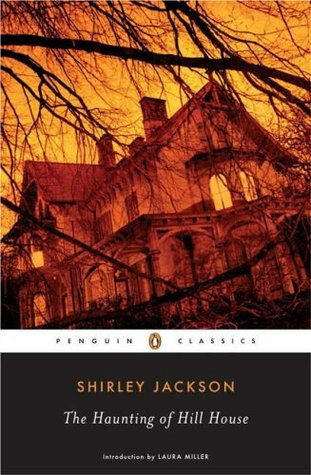 Overall, The Haunting at Hill House is truly a unique book. I don’t think you will find a cast of characters quite like that one for a while. It’s an engaging atmosphere with how mysterious the air is and all of the strange dialogue being thrown around. I think I would have preferred for the book to have been shown through another character’s point of view although that would run the risk of changing the whole dynamic of the book. Anyway, I’d recommend checking out the book. It’s also pretty short so it won’t take you too long and the pacing is pretty tight. Whether you think the supernatural element is there or if it’s all in Eleanor’s head, it’s a fun story. Time for another Pokemon adventure. Ash and friends were minding their own business when they notice a big crowd of people gathering around. It turns out that a big talent show is occurring nearby and Gary is even participating in it. 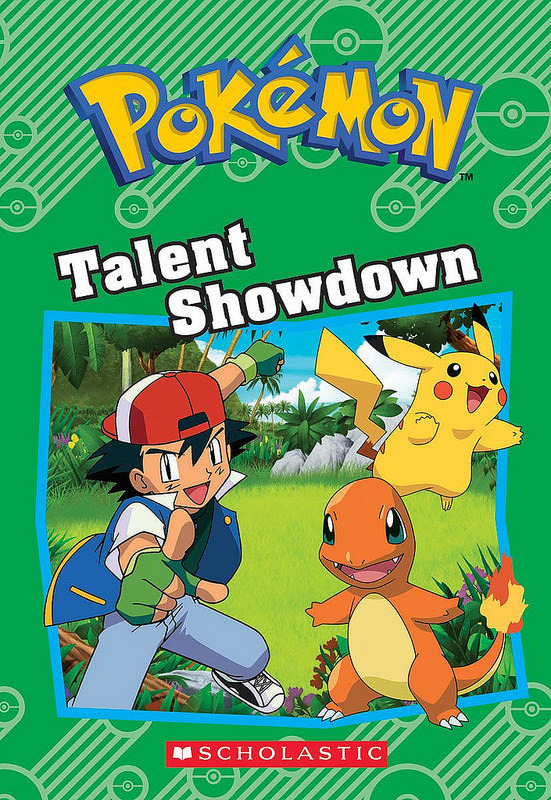 Ash isn’t a big fan of contests, but Gary eggs him on and continues to insult Ash until the main character decides to bluff his way through it and claims that he already has a great act in mind. Can Ash think of an act that will actually defeat Gary’s or is it time for a slice of crispy, humble pie? This adventure is a lot of fun because having Gary in the story is always great. I recently went back to check out most of his best moments and it’s easy to see why he’s such a fan favorite. The book does him justice as well since he actually had the slight upper hand against Ash. As Ash referenced, it’s a little odd for Gary to be so arrogant after Ash upstaged him in the tournament, but this is the fan favorite portrayal of Gary after all so I guess it’s to be expected. Either way I hadn’t been expecting a rematch between the two of them so that was really awesome. The actual talent show wasn’t bad either. I felt a little bad for Ash since he apparently can’t sing or even play any instrument so he was given the smallest role. Still, Misty and Brock did help him out by coming up with their show so that was nice. I’d definitely assume that Gary is a better singer than Brock, but it’s nice to see that the Pokemon characters have such musical talent. The ending is a little cheesy though as the owner stated that this contest wouldn’t be about battling and just sportsmanship, but then Ash saves the day and he flips on that statement. I suppose having your life saved is a decent reason to quickly change up the results, but it still felt like Ash didn’t really earn his win. I guess that part could be pretty nostalgic to the original season as well though. This book probably had the most action out of all the Pokemon books I’ve read so far so as you can imagine it is also my favorite one. Pokemon action is just a blast to watch and I definitely picture the fights in my head as they go. I forgot that Gary had a Charizard or if they just made it up for this adventure but that’s certainly interesting. It’s a little disappointing that Charizard was losing to Alakazam, but psychic types are some of the only ones who can give him a real fight so I can live with it. The stakes were definitely pretty high. I think Alakazam could definitely beat Psyduck though. Psyduck’s confusion certainly is great, but it takes forever to use and no opponent should actually just stand there and wait to be attacked. Gary’s confidence let this happen, but it wouldn’t be viable on most opponents. Ash also fought another performer earlier as she thought he stole her Seel so she retaliated by trying to beat him up. I guess she was determined to get the truth out of him, but beating Ash in a Pokemon fight is no easy task. I think Ash is a little too quick to return his Pokemon during the battles here, but when you have Pikachu at the ready I suppose it’s no big deal. I also didn’t mind that the battles got more screen time than the actual show because that part was certainly more exciting for me. As always the pacing is really great for the book. Since it’s so short everything has to happen quite rapidly which always makes for great results. Ash really can’t catch a break as a result, but it also shows how he is able to think on his feet. There’s never a dull moment and so you’ll be engaged from cover to cover. It certainly won’t take you long to finish this book anyway so it works out well. Overall, This was a really good Pokemon story. All of the characters were itching for a fight and Ash was always ready to oblige. He may not have won all of his matches instantly but at least he reacted right away and acted reasonably experienced. I’d love to see an old school Pokemon movie that takes place around here where Ash just takes on trainers. It would be a lot of fun and I miss his old school lineup of Pigeot, Charizard, Snorlax, and the others. It was just a very balanced team even if Bulbasaur and Squirtle may hold the team back in attack power since they’re still in their first forms. They really haven’t been looking good in these books so far but maybe that’ll change soon. Charizard and Pikachu have really been doing all of the work. If you haven’t checked this story out yet, then you should definitely change that ASAP. It’s time for another Pokemon story. This one was pretty ironic right from the start. Remember how in the last book Tracy joined up since Brock left and they were about to have some fun adventures? Well, since this is a few volumes later, it starts off with the aftermath of Tracy leaving and Brock suddenly returning. It’s all pretty surreal and would have been really funny if these volumes were actually back to back. It just ended up being pretty funny because of the circumstances. Ash and friends are trying to have a good time when they see a bully picking on a girl whose balloon was shot down. It turns out that Team Rocket are the ones who actually sabotaged her, but it matters not at the moment. Ash challenges the bully, but gets steamrolled by his impressive Fearow. Ash’s friends quickly insult him for this and Ash almost cries so they decide to take revenge by entering the balloon challenge and helping the girl overcome the bully. It’ll be tough, but Ash knows that he can pull through in the end. The whole book is basically the race. It’s a pretty short chapter book like the others so you’ll be able to read through it right away. Because of this, the book wastes no time in getting straight to the action. The actual race is pretty rigged though and I feel bad for most of the contestants because they just go down so easily. Team Rocket actually looks competent for once as they technically eliminate almost all of the teams. Nobody seems to care much either as Ash and friends think about what is happening but none of the other teams ever do anything about it. They’ve all accepted their fates which is actually rather tragic if you overthink the whole situation. Why didn’t they put up more of an effort to fight back? They all have Pokemon so that shouldn’t be too hard. Maybe they figured a ref was watching them so they couldn’t make a move. It makes sense then why only the bully and Team Rocket were doing anything, they called the tournament’s bluff and that proved to be successful. I’m not sure about giving away Pokemon as a prize though, but that’s a topic for another day. For now I’ll assume that Dratini was a pretty chill Pokemon who just went with the wind. Ash had a bit of a confidence issue in this book, but at least he gained it all back by the end. I also like how he pointed out that he never lost his confidence and it was just hanging around the entire time. That’s why Ash is a pro, he rolls with the punches and even has a few good bluffs to help himself out. I do wish he could have beaten the bully though as that would have just been a lot more satisfying than the result we got. Bullies should never have the last laugh. Sure, he didn’t win the race but he will still go on thinking that he is one tough customer. This book had more action than the last one and felt more like a classic Kanto adventure. I’d definitely say that it has aged well and was probably a pretty fun episode back in the day. I can’t really say that I remember it all that well at this point, but it certainly has been a while since I watched the original episodes back in the day. I’d definitely recommend checking it out whether you’re a Pokemon fan or not. It’s a solid book for all ages and since you can read it in under 30 minutes it’s not a big time investment either. We’ll see if the next Pokemon book can keep up the positive trend that we have so far of getting better and better. Also, this book confirmed that Ash can understand Pokemon speech. It’s time for another quick Pokemon chapter book. 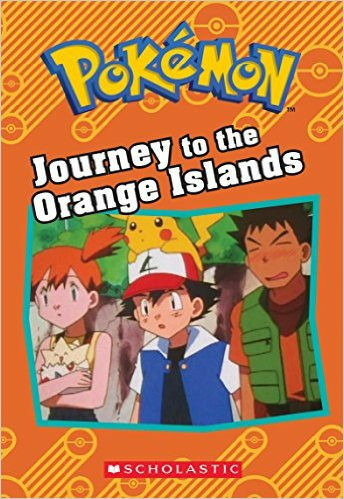 This one brings us back to the beginning of the Orange Island adventures. 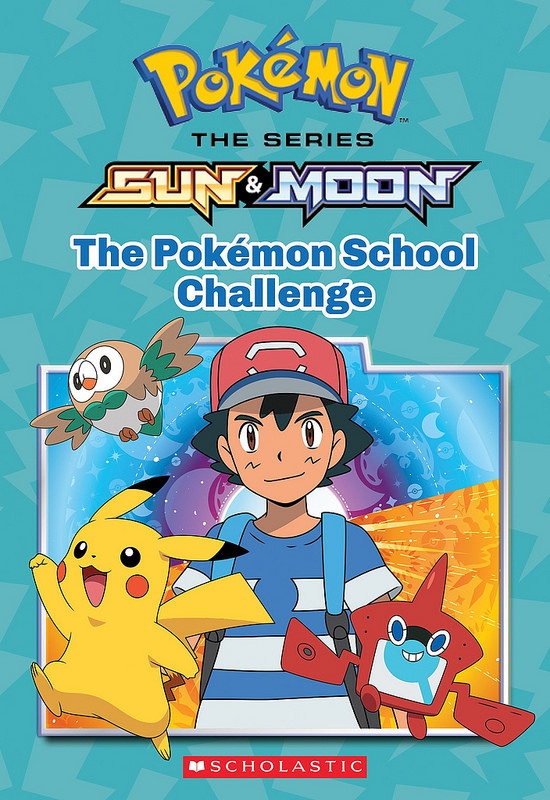 Ash may have conquered the Pokemon League or at least that’s what you’d assume from how he talks about it in this book, but there is a new challenge around the corner that he cannot resist. Before starting the tournament he runs into a Lapras who is in need or a rescue and a Professor who may be in over her head with research. Ash is ready to save them all, but can he also stop Team Rocket from kidnapping Pikachu? It’s always nostalgic to take a look at the good ole days of Pokemon. The newer adventures are fun enough (Although Sun and Moon is a downgrade) but the classics are classic for a reason. It’s great to see Ash just show up and take down 3 bullies in a single blow. He didn’t have time for one liners or panic attacks, Ash just got the job done. That’s why he’s the hero of legends. Ash doesn’t play games when it comes to cleaning up shop and I wouldn’t expect him too. Ash is also pretty straight forward here as he openly cringes depending on the situation. I’m not kidding, on page 2 he cringed and that’s when I knew that I was in for quite the ride. It was a good way to start things off. There are really two main adventures here although they continue into each other pretty seamlessly. The first adventure has the kids stop by Professor Ivy’s lab to pick up the GS ball. For some reason it is impervious to teleportation so they are supposed to bring it to Professor Oak. Brock decides to stay with Ivy so he can become an official Pokemon breeder. Ash and Misty are pretty okay with this and head off, but Team Rocket tricks them and they get launched pretty far away. That’s when Ash notices the bullies and takes them down. A kid named Tracy shows up to join the crew and Oak allows Ash to forget about the GS ball so he can just have fun entering the league. Oak’s a pretty nice guy. The adventure is On! Naturally this was a pretty big moment in the anime since Brock had been around for so many episodes. That being said, he was always the worst of Ash’s friends as he never kept his head in the game and was always holding the team back. He may have been the team’s cook, but I couldn’t get around to missing him. His replacement wasn’t exactly a fan favorite though as Tracy can be extreme in his own way. He notices some kids bullying Lapras and decides not to do anything about it because he’s busy sketching. That’s very shady right off the bat and he basically forced his way into Ash’s inner circle. Ash was totally against having Tracy on board but the decision was taken out of his hands. It was all pretty sudden. Tracy will have some work to do to get past his initial appearance and since he isn’t much of a fighter, that’ll be tough. Misty doesn’t do much here, but I’m sure she’ll have more of a role in the next few volumes…possibly. Technically Ash’s Pikachu is really the only Pokemon to get a big role. Ash doesn’t even use his others. Jigglypuff looks pretty good as she shows up to take names. I really miss the days when she would come out of the blue and just start singing. That was a quality running gag. One thing I have to wonder is if the author has to recap what everything is at the beginning of every book or just for each region. For example, we’re reminded what a Pokedex is and the author describes everything as if we’re seeing it for the first time. The book’s fairly short and even then these scenes are really quick, but it does seem like you’ll lose valuable page space this way. In the end, I have no real complaints with the pacing though. The book flies by and it’s an engaging read from cover to cover. If I had any small complaint, it would be that this book is light on action. Pikachu’s one hit win and Geodude’s one hit win were basically the only battles in the book. Props to Team Rocket for tricking the heroes the same way twice in a row. Since the book cuts out the filler it almost literally occurs back to back. At least Ash didn’t go down without yelling for his food first. Overall, This was a good volume of Pokemon. It could get a little dark like with the Lapras chapter and it’s easy to forget that the stakes used to be so high. Even Ivy almost died because of Pokemon spores gone wild. I have a feeling they’ve been nerfed to just knock you out in newer episodes. That being said, Ash is even more intense than usual in this volume and it’s just nice to have the old gang back. The show really had a lot of depth and emotion at this point. I still prefer almost all of the other regions to Orange Islands, but I like to just think of them as the lost episodes of Kanto. Think of it like an epilogue story and it works a whole lot better. No Gary this time, but he’ll return soon enough. If you haven’t read the book yet, now’s a good time to do so. It’s a pretty nice way to read through two episodes and it covers all of the important parts so it’s a quicker way of getting caught up with the anime. I read the first volume in the Pokemon chapter book series for the recent Sun and Moon adventures. I was debating on whether to review this book or just wait until the series ends, but the latter could certainly end up taking a while. Ultimately I may start reviewing the individual books for some titles with no foreseeable end while for others a series review still makes sense. It’s tricky, but especially since this book is so small it seems reasonable. It covers around 2 episodes of the anime give or take. The series had a lot of controversy surrounding it when it first came out and it’s easy to see why. Pokemon went from being a really serious action show to a comedy. It’s not the Pokemon that I grew up with, but it works out well enough. The series starts with Ash being on summer vacation. He sees a lot of cool new Pokemon while at the new region and asks his Mom if he can stay. She allows it and he quickly joins the school so he can learn how to be a Pokemon Trainer. I can understand why he would want this knowledge since he’s been training for over 10 years with nothing to show for it. He hasn’t even aged a day for some reason. So, Ash sticks around and everyone starts to teach him the ropes. However, the island’s sacred guardian has taken an interest in the kid and challenges him to a fight. Can Ash really win this battle? Ash has definitely lost most of his character development from the old days so part of the plot in the series will likely be him gaining it back. He learns something new in every episode so in about 100 or so episodes he should be a good strategist once again. It’s a long while to wait, but what else can we do right? It’s just the way it has to be I guess. Pikachu has also gotten quite a bit weaker so it’s rough for the pair. They used to be one of the strongest duos and now they’re getting kicked around left and right. It feels bad when you really think about it. They are still good leads though. They mean well and are always up for a challenge. The series works much better when you just think of this as a prequel. Imagine that it takes place immediately after episode 1 of the original series and you’ll be set. I think one of the parts where a book can adapt this better than an episode is that the comedy gags don’t stand out as much. Ash getting pinched and saved from random disasters doesn’t seem as bad when you’re reading about it compared to actually seeing it on the big screen. He keeps a little more of his dignity this way, at least that’s how I see it. For example, I can’t stand the living Pokedex in the anime. That may be a bit strong, but at least in AMVs and such he just gets in the way. In the book he barely talks at all so he’s not as annoying. That being said, learning all of the names is going to take some time. The new rival is a guy who’s named something close to Kiwi. He talks a good game and has a Charizard so I’m expecting him to fight quite a bit, but he gets on my nerves. He seems to think of himself as a big shot. The other friends are nice enough but they start to blend into each other since their personalities are virtually the same. The teachers try a little too hard to all be suave and cool around Ash, but it just doesn’t really work. Once they fight and prove themselves, then things could be different. Team Rocket doesn’t get to do a whole lot here either. Nobody really fears them and while they may be more of a threat in this region than the others since Ash has forgotten how to deal with them, they aren’t very interesting. The only part that will make their plot fun is Mimikyu once he’s a main character. I had fun watching his fights in the anime and he’s probably the best part in the whole region. He looked quite good in the book as he was beating Pikachu with ease, but had to leave since Team Rocket was getting wrecked. Why do they manage to snag really cool Pokemon like that one? Finally, Tapu Koko is a pretty cool Pokemon. He easily has one of the best designs in the entire region which may not be saying all that much but I’m certainly a big fan. He lives up to the hype and really manages to be a thorn in Ash’s side. He’ll make for a good rival as I’m sure he isn’t quite done with Ash and friends yet. His appearance also resulted in an action scene so I’m all for that. Overall, This chapter book is quite short of course so you’ll read through it right away. It still does a good job of covering quite a bit though. This region certainly is my least favorite because the animation is the worst and there’s less action than usual, but the former doesn’t apply to the book and the latter isn’t noticeable yet. If I didn’t know any better, I’d actually consider this to be a pretty promising start to the region. If you’re a Pokemon fan then you’ll certainly enjoy this and it’s a reasonable way to jump into the franchise. It certainly is new reader friendly. We’ll see if the next book adaption can be quite as good. Moreover, I’m ready for Ash to finally win a fight! It’s time for the next installment in the Kingdom Heart novels. This one covers the Chain of Memories game which was always a fun follow up to the original. The story was a lot more intense as you could say that the plot finally started here. This novel is quite a bit larger than the first as it has 2 Sora stories plus the Riku one. It clocks in at a clean 400 pages and makes for a pretty epic read from start to finish. 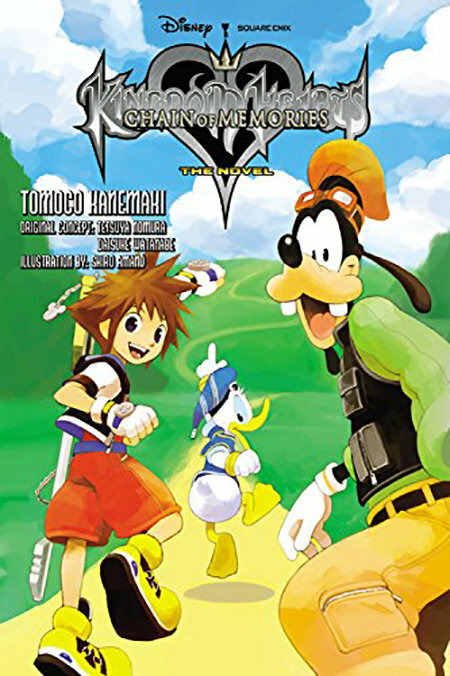 The first novel finished with Sora, Donald, and Goofy being split up from Riku and King Mickey as the latter stayed behind the door of Kingdom Hearts in order to shut it to save the world. Sora vowed to find them once more and Kairi stayed behind on the island. Unfortunately, something seems off. While the heroes were on a road, they suddenly find themselves at a castle and a mysterious individual warns that as they go through it, they will lose their memories. At the same time, they will gain new ones to replace the old memories that they have lost. Sora decides that they must press on and so the heroes continue. You can definitely say that this is one of the toughest challenges that the heroes have encountered. What they don’t realize is that the castle is owned by Organization XIII. They are using a girl named Namine to rewrite Sora’s memories. She deletes his memories of Kairi and slowly inserts herself into them instead. She begins deleting his memories of his friends as well to the point where Sora begins to forget everything. This starts to cause some tension between the 3 heroes, but fortunately they’ve been through a lot so this doesn’t lead to any big split like in the first novel. Donald and Goofy know something is wrong, but their memories are being tampered with as well so it’s difficult to fight back. You can’t stop an opponent that you don’t even know you are fighting after all. One of the challenges of the Castle is that Sora must revisit all of the worlds that he visited in the first novel. Admittedly, this part can be a little repetitious. Even more so since I just finished reading the first novel a few days ago. During each chapter, I would just look forward to the parts where he would leave the world and fight with the Organization XIII members. That and the new inner monologue were the most important parts. The actual worlds progressed in just about the same way as the first time around. That’s basically the point, but it doesn’t make those challenges too engaging. Finally, Sora also has to watch out because the villains created a fake Riku to mess with his mind even further. Fortunately, Sora deals with this fairly well. He does suffer from a ton of self doubt in this novel but considering the circumstances, I suppose it makes sense. Sora’s definitely a great lead and acts as a real hero throughout these trials. Even when he finds out that Namine has been manipulating him, he decides to aid her since it wasn’t totally of her own volition and he claims that even if he never made the promise to protect her, the memory of it (Fake or otherwise) makes it real so he’ll live up to it. It’s an interesting concept and one that I can agree with. (As long as the fake promise wasn’t anything crazy) Donald and Goofy’s roles are a lot smaller here, but they’re good sidekicks to have around. They could maybe use more character at times, but as long as they don’t betray Sora or anything, we’re good. The Riku story at the end takes place at the same time as Sora’s adventure although it ends after the first one. Since their main target is Sora, the Organization doesn’t bother to mess with Riku’s memories. They don’t even know that he has infiltrated the castle at first since everyone thought it would be impossible to escape from Kingdom Hearts. Riku spends most of the novel trying to fight off the darkness so he can be friends with Sora again, but this is a tough challenge. It’s one that becomes even more difficult once the Organization notices him. Surprisingly, he only gets about half of his own story though. Fake Riku (Replica) gets the other half as he tries to become a real person by destroying the original and taking down Sora. I actually preferred the Riku story to the Sora one. Since Riku kept his memories, it made his experiences in the various planets feel fresh. After all, we never got to see him there originally so in that sense it was already new. Throw in the fact that Ansem, Maleficent and all of the other villains kept jumping in and the whole thing got even better. Also, as cool as Sora is, Riku’s even better. He’s the intense rival that every good series needs and he fills the role perfectly. Walking the path of light and dark is definitely only something he could do. It was also nice to see Mickey show up even if he didn’t do much til the end. As with most things in the series, it was still a little vague how they escaped and why Mickey has telepathic abilities, but we’ll roll with it. Part of the fun with the series is that the mysteries continue to grow, but the vague statements all amount to something by the end. Since I’ve already played the rest of the games, what they’re saying makes a lot of sense the whole time. I’m sure once I play Kingdom Hearts III there will be a lot of stuff that doesn’t make sense. That’s just how it goes. Replica was also a decently good character. You can’t help but feel bad for him when the Organization forces him to have his memory wiped. At least he tries to stop them, but he was a little out of his league. The villains were also pretty good. There were quite a few of them and they all had different personalities. I do question the power levels though. The girl was able to detect Replica pretty easily, but then Sora was able to take her down for the count. I don’t think the difference in power should have been that great. At times, Sora also seems outmatched against the Organization while at other moments he seems to be out of their league. Whatever the case, it’s safe to say that he should be able to hold his own against them in Kingdom Harts III. By then he will have more than enough experience needed to take them down now…as a Keyblade Master! Overall, This was a fun follow up to the first novel. It was definitely quite a bit more epic since the gang was already together and I really liked Castle Oblivion. The repetition in the worlds was maybe a little tiresome, but that was overshadowed by the increased amount of fights in the arc. I also felt like the fights had more stakes since Sora was up against sentient antagonists as opposed to normal heartless. I expect that the novel adaption of Kingdom Hearts II will be even better and will continue bringing up the series. If you haven’t read this one yet, I highly recommend it!